Did you get the Stampin' Up! Happiness Surrounds Stamp Set too? Did you get the Stampin’ Up! Happiness Surrounds Stamp Set too? Here’s a refreshingly clean and simple card with the limited-edition Stampin’ Up! 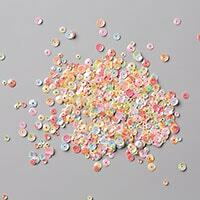 Happiness Surrounds Stamp Set. Did you know it also coordinates with the Snowfall Thinlits Dies? 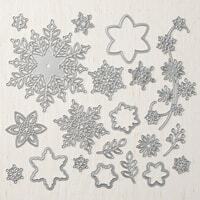 Snowflakes and flowers make the Snowfall Thinlits a versatile set of dies to take you from spring to winter when paired with the limited-edition Snow is Glistening and Happiness Surrounds Stamp Sets. Look how fabulous the intricate die-cut flowers look with the striped flower behind them on my clean and simple card! The striped flower, smaller flower, and sentiment are three of the 14 stamps in the Happiness Surrounds Stamp Set. 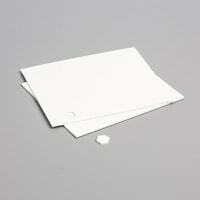 Whisper White Thick Cardstock is the cardstock of choice when you want white for your card base. 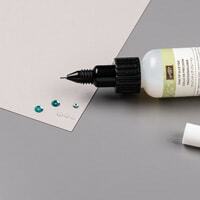 It has the same tight weave of the standard Whisper White Cardstock that takes ink for clear and crisp stamped images at a heavier weight. 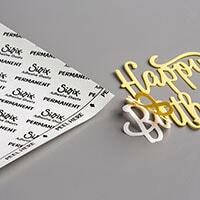 The thicker white cardstock provides a sturdy card base for a card that will not buckle when it’s put on display and can also handle the weight of additional layers. I also prefer Whisper White Thick Cardstock for large layers that will be popped up with Stampin’ Dimensionals, as I did with this clean and simple card idea. Crisply stamped images with the benefit of a large layer that will remain at the same height from top to bottom. 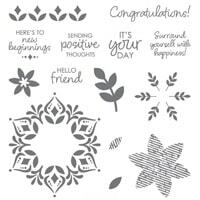 Friday, November 30, 2018, is the LAST DAY to order the limited-edition Stampin’ Up! Happiness Surrounds Stamp Set and Snowfall Thinlits Dies in my online store www.shopwithshelly.com. Your November 2018 order could win one of three prizes in my November Drawing! 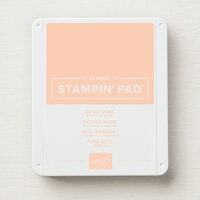 The first name randomly drawn will win your choice of ten Stampin’ Blends Combo Packs ($90.00 value)! The second name drawn will win one FREE month of Stamping Playground membership ($9.95 value)! The third name drawn will win one FREE month Hassle-Free Cards subscription ($4.95 value)! One entry into the November Drawing will be given for every $35 in order totals due (before shipping and sales tax) placed in my online store www.shopwithshelly.com November 1 through November 30, 2018, Mountain Time using Hostess Code PV9HW2JG . Very Important: If your order is $150 or more (total due before shipping and sales tax), please DO NOT apply the Hostess Code to your order. Orders of $150 or more automatically earn at least $15 in Stampin’ Rewards to spend on additional Stampin’ Up! products of your choice, including hostess only products. Orders placed using a Hostess Code do not earn Stampin’ Rewards but will receive entries in my monthly drawings. The drawing is open to those with a U.S. address. Void where prohibited by law. Click here for the full set of rules and an alternative entry method. Join me at the Stamping Playground! A membership community for stampers who want to have fun while they learn, create and share. Like my Stampin’ Up! 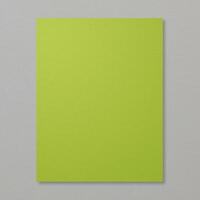 Happiness Surrounds card? Leave a comment below.